Mia is an 8 month old cocker spaniel who is partially blind. 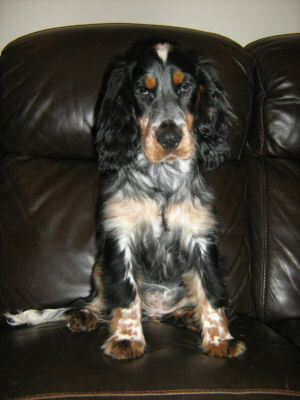 Cocker spaniels can carry a genetic defect which can lead to blindness. Because of her disability she was dumped by the breeder as she was not “sellable”. Fortunately a rescue picked her up and she found her forever home. Mia’s condition will eventually result in full blindness. Although she does well in overcoming her disability the fact remains that Mia was the product of irresponsible breeding. With the correct health tests we can stop other puppies from suffering like Mia. Please buy responsibly!